PULSUS Conferences invites all the participants from all over the world for the upcoming event “World Congress on Advanced Nutraceuticals and Functional Foods” which will be takes place at London, UK on July 15-16,2019. 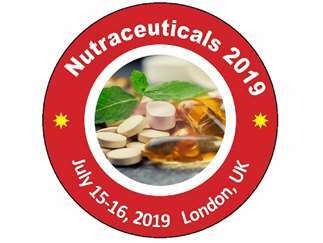 Nutraceuticals 2019 greets all the experts in the field of Nutrition, Pharmacology, Agriculture, Food science, Food technology, Drug Research under the theme of “Emphasizing latest Innovations in Nutraceuticals and Functional Foods”. This event will provides keynote session, Oral talks, Young research Forum, Poster presentations and Exhibitions. It would be great if you take part in the event.